Shocking allegations of physical, sexual, and verbal abuse, neglect, and inadequate care have resulted from a Missouri investigation of hundreds of nursing homes. While there are many nursing homes that provide wonderful care for residents, more and more cases of severe abuse are coming to light as investigations uncover Medicare fraud, overpopulated nursing homes, and inadequate staffing. A non-profit investigative journalism group called ProPublica recently requested nursing home investigative reports, citing the Freedom of Information Act. The group has published the reports which cover investigations that took place over the last three years. The reports show The Department of Health and Human Services For Medicare and Medicaid Services investigated facilities across Missouri and found many cases of abuse. Eight in St. Louis City were fined totaling $67,645, St. Louis County facilities were fined over $60,000, and others across the East Metro area were deemed deficient as well. Overall, Missouri nursing homes were fined upwards of $676,000. The abuse cited refers to incidents that happened since 2009 and ranges from unreported sexual abuse to failure to provide prompt medical care, and wrongful death due to over-medicating patients. There were even more abuses noted in 774 Illinois nursing homes. Fines in Illinois ended up totaling $2.3 million. One St. Louis nursing home incurred steep fines of $20,000 for imposing lock-downs as punishments. When one resident attempted suicide at the home, belts were banned. Residents felt like their dignity was not being preserved. Carrie Ellingson Gietner Home was tagged as being especially concerning when the staff failed to address the medical needs and notify the physician of one man who was experiencing chest pains. He was not given his blood pressure medication, and complained of chest pains for 12 hours after which he passed away. Yet another home became notorious for its verbal abuse of residents. The nursing home was fined over $24,000 and was deemed as having conditions that caused “immediate jeopardy to resident health or safety.” There were countless other abused at other homes, including a case where one resident was given pain medication in a dose that was 20 times the prescribed amount. Another home failed to protect residents from sexual abuse. If you suspect a loved one has experienced nursing home abuse or if you are aware of abuses, you should report the abuse to the Health Department and consult a nursing home abuse attorney. Nursing home abuse lawyers will know how to investigate and make a case against a facility or staff that is causing harm to residents. It is extremely important to hold facilities responsible for their actions so that more residents do not have to suffer. 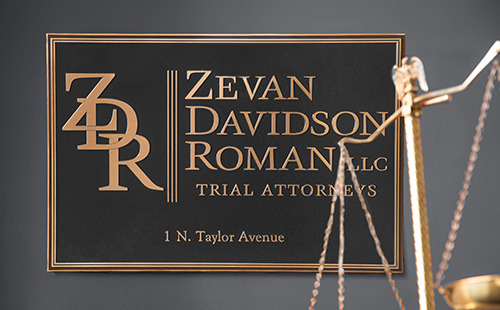 The Zevan and Davidson Law Firm has qualified nursing home abuse lawyers with the proven ability to help you and your family receive the justice you deserve. Call us at (314) 588-7200 today! Or request a free and private consultation by filling out our online contact form.